I've been slowly converting myself to living a more healthy lifestyle. For someone who was used to being active at least four days a week, three hours a day, transitioning into the college life of no free time and dining halls has been rough on me. Getting active and eating right is something that is way overdue (for me personally) and severely underrated. It's not about being perfect all the time, and it's not always about being skinny. It's about being healthy--and being healthy is good for everyone. So let's talk about spin. Why? Because I'm insane and just took my second (despite the first one being months ago) class today. 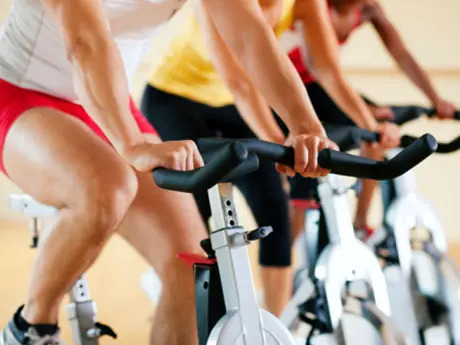 Spinning has become one of the popular "group fitness" activities, and it should be. I can attest that it is an extremely effective method of working out. (My face is still red and class ended two hours ago). 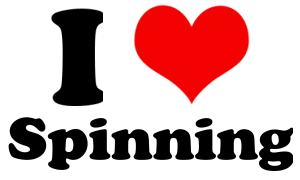 Not only are there a lot of benefits to spinning, but it's also a relatively simple workout. I'm not saying that it's for everyone, because it gets pretty intense, but it's great for a lot of us. I personally like it because it is easy on my knees, unlike running (which I'm convinced I'll never be able to do because of them). Teen Vogue and Huffington Post both have good articles about what to expect and why you should do spin. I personally don't know if I agree with their suggestion about bringing padding for your seat, but everything else is good to know. Really, though, what I like about spin class is the atmosphere. The room is dark, the trainer is motivating you to an unnatural level, the music is awesome, and I promise that as soon as the class is over you'll feel so much more energized (despite being exhausted only seconds ago). Granted, I still wanted to go lay on the floor after and my legs felt like jello walking up the stairs, but I feel so accomplished and fit. I'll absolutely being going back, (this post was partly to convince myself that it's worth it), and I hope I've gotten some of you interested in it as well.